We have gorgeous waterfalls, bluffs, and trails scattered all about the state. For a different focus, we’re taking a step back from the natural spots and giving human-designed beauty the spotlight for today. 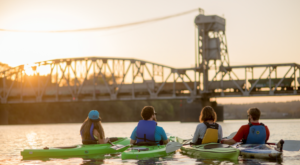 Arkansas may be known for its natural allure, but it’s also filled with savvy architects and designers that add a different sort of beauty to the state. Let’s look at the variety of award-winning designs in Arkansas. 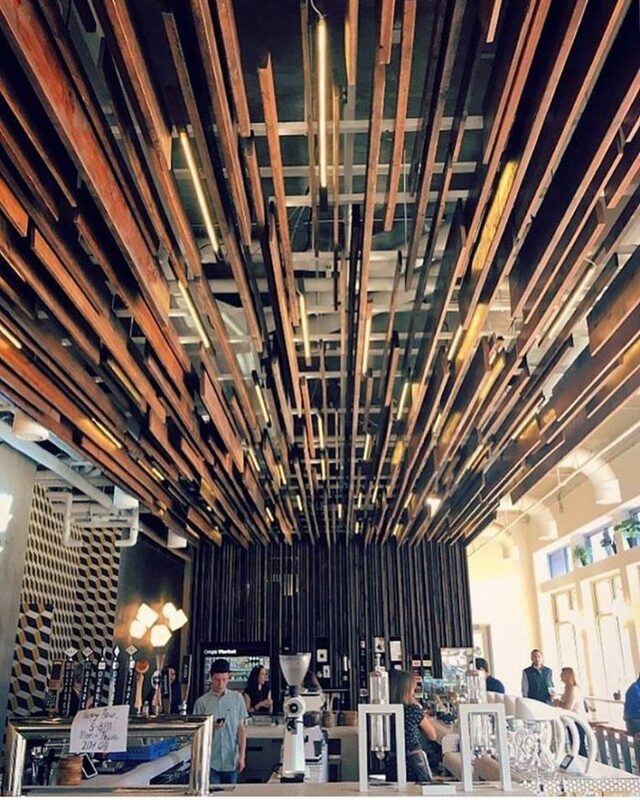 Onyx Coffee Lab sets a modernly beautiful backdrop for sipping fresh roasts. Their location in Bentonville features a coffee bar to watch your drink be created. The bar's tiny white hexagonal tiles and suspended walnut grill will be the first thing you notice after ordering. Then settle in on a caramel leather sofa and take in the oak incorporated architecture. Onyx Coffee Lab is located at 100 NW 2nd St. #106 in Bentonville. The American Institute of Architects awarded top honors to the Vol Walker Hall & the Steven L. Anderson Design Center, which is part of the University of Arkansas' Fay Jones School of Architecture and Design. Only 17 winners were selected from the over 500 entries of architects and designers around the United States. It's pretty impressive that Arkansas was top ranked alongside Chicago's Riverwalk and an L.A. museum. 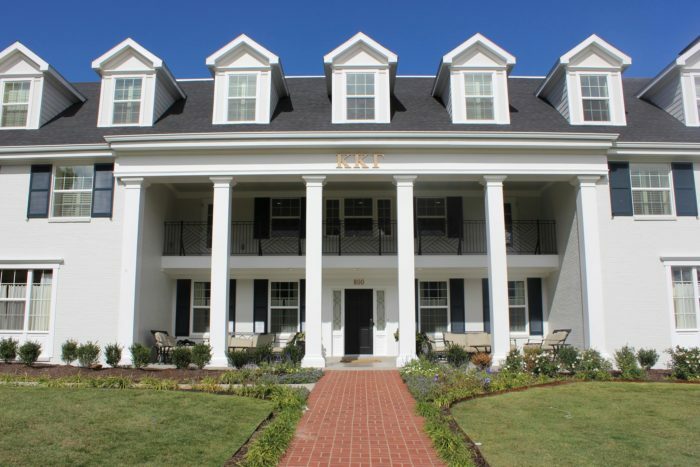 Speaking of the U of A, a sorority house on the campus has also been chosen for its beauty. Architectural Digest selected the top 13 sororities in the United States and the Kappa Kappa Gamma house made the top five. The mansion's vintage interior and sleek incorporation of their official dark blue color made it a top choice. 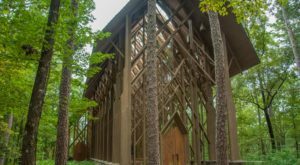 The Thorncrown Chapel is undoubtedly the most beautiful church in Arkansas. The American Institute of Architects awarded the chapel fourth on its list of the top buildings of the twentieth century. 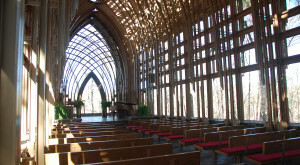 Everyone can appreciate the chapel's design, including its 425 windows with 6,000 sq. ft. of glass. 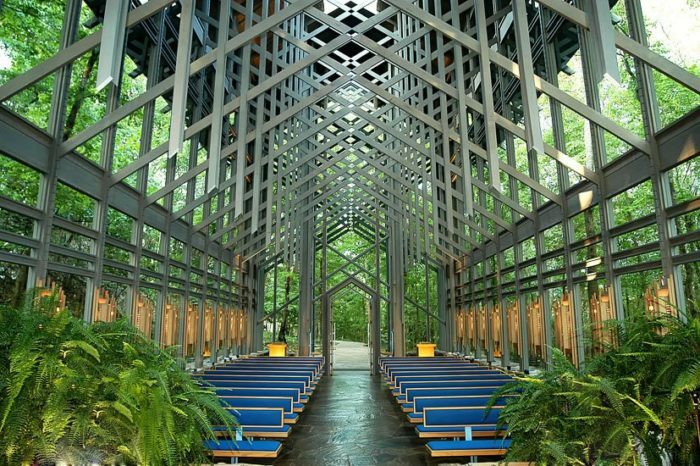 The Thorncrown Chapel is located at 12968 Highway 62 W. in Eureka Springs. 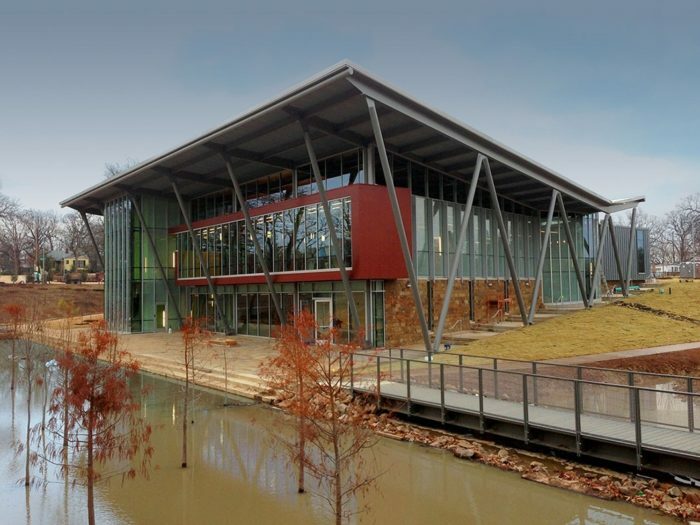 Another building recognized by the American Institute of Architects, the children's library in Little Rock earned the title of most beautiful library in 2015. 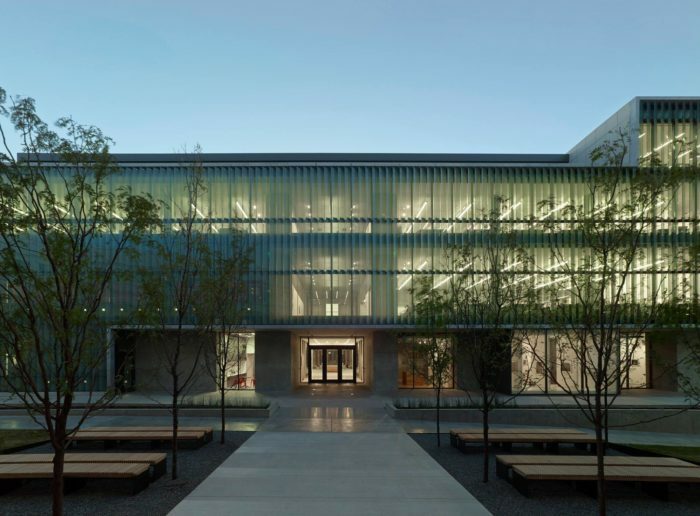 The glass facade and low carbon footprint were the favorite features of the AIA. Any place that promotes reading is a winner in our book. The CALS Children's Library and Learning Center is located at 4800 W 10th St. in Little Rock. 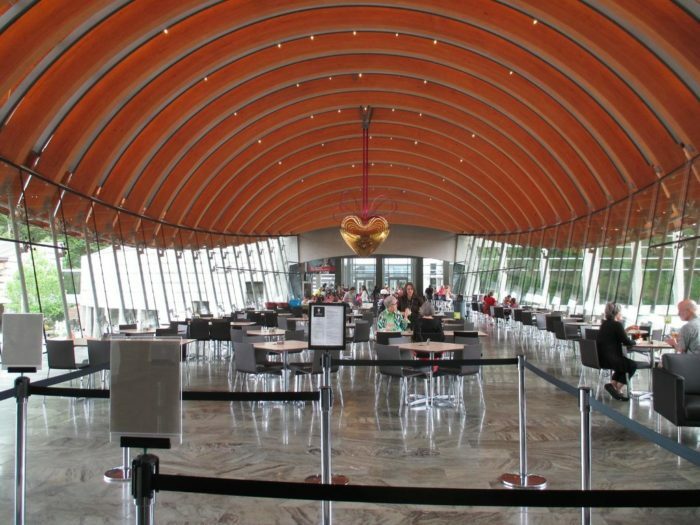 Besides being the most beautiful restaurant in Arkansas, Eleven at Crystal Bridges has also been awarded for being one of the best museum cafes in the entire world by Tripsavvy. The artistically open dining room and beautifully crafted food really makes this eatery stand out from all others. Eleven at Crystal Bridges is located at 600 Museum Way in Bentonville. The combination of historical tradition and elegant beauty create the stunning backdrop of the Arlington Hotel. 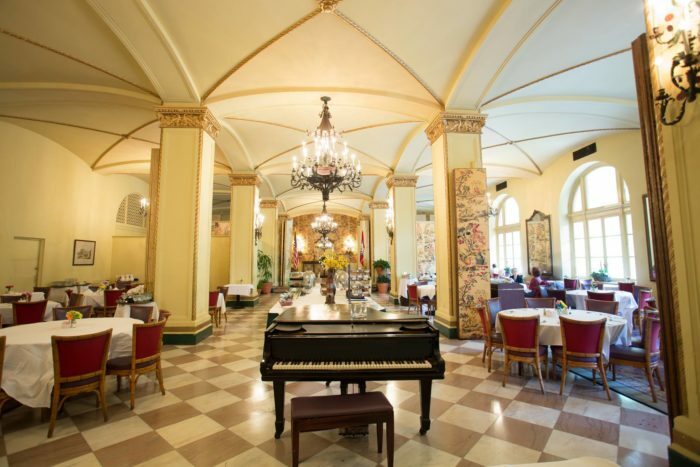 The sense of grandeur is overwhelmingly present in the hotel's Venetian Dining Room. It'll be hard for another hotel to outshine the near 150 years of beauty anytime soon. 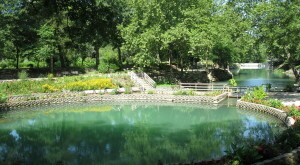 The Arlington Resort Hotel & Spa is located at 239 Central Ave. in Hot Springs. Surprisingly, Arkansas does have a handful of castles but one does overshadow the rest. 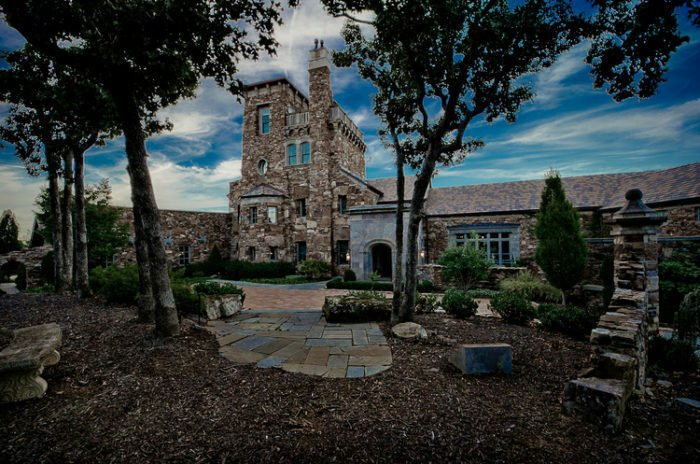 The Dromborg is a Scottish inspired castle that's actually on the market for an easy $8.7 mil. The 4,000 tons of rock and intricate architecture makes the Dromborg a beautiful (albeit expensive) work of art. 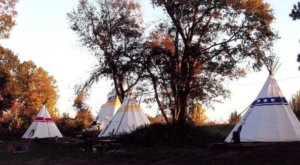 To tour the interior of the Dromborg, read our feature article here. 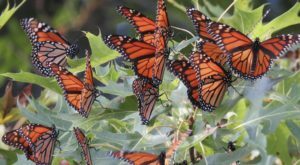 Multiple sites have declared Hendrix College has the most beautiful campus in the whole state. 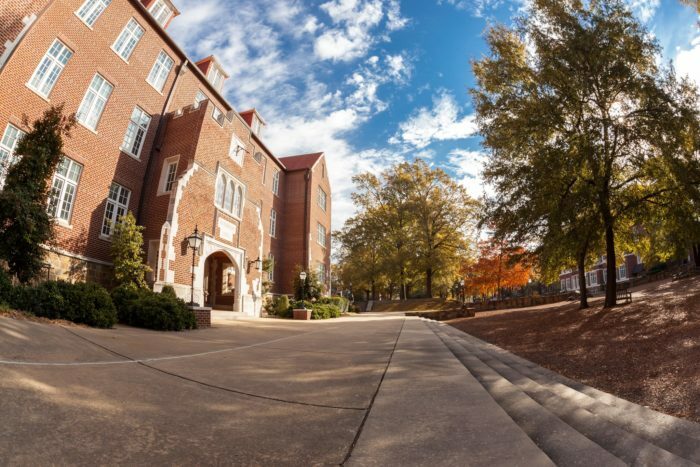 Many of the buildings on campus are on the National Register of Historic Places and the campus continues to add to its beautification process every year. The Pecan Court and picturesque gazebo are just two of the scenic points of interest on campus. Arkansas is filled with so many different types of beautiful places! Where was a place you were blown away by human design in Arkansas? Share with us in the comments below! 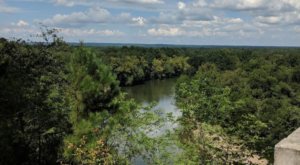 For the rest of the best, check out these outstanding places in Arkansas.